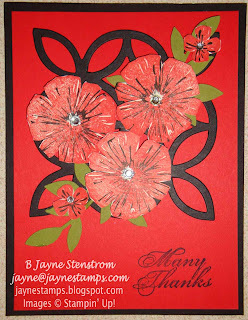 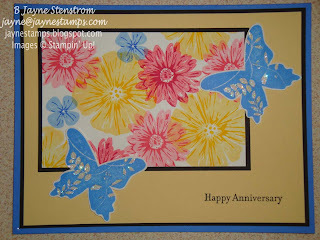 I have more pictures to show you of cards made with some of my favorite stamp sets that are retiring. You have until May 31st to order any of the stamps or accessories that are retiring this year. 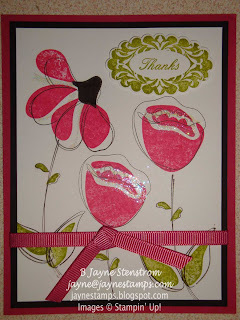 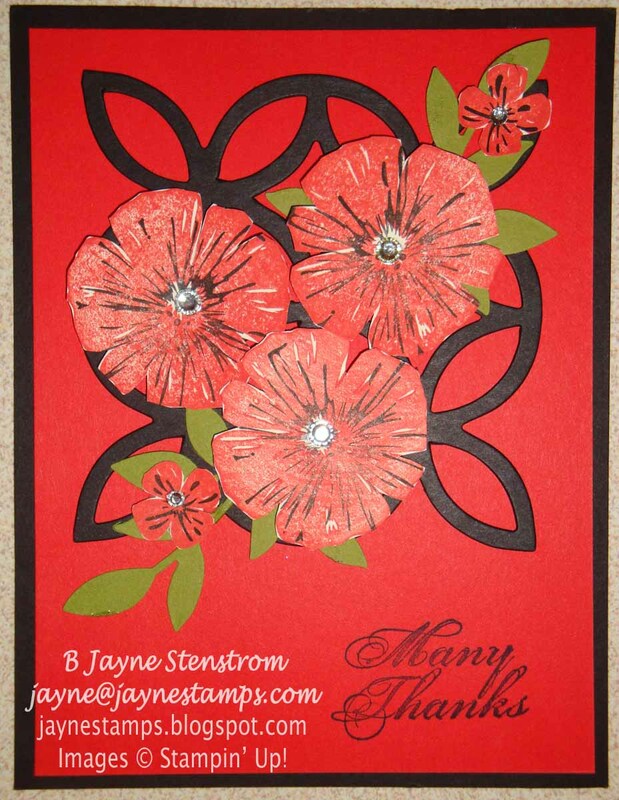 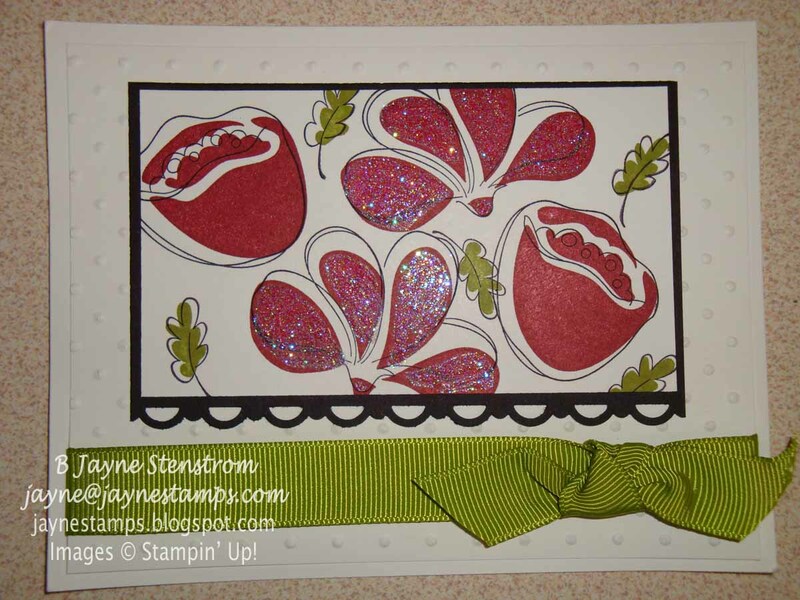 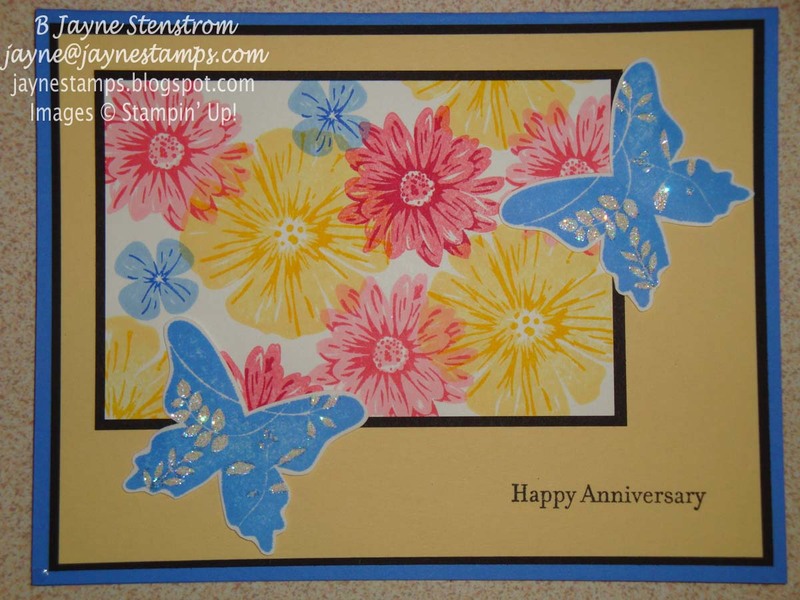 First off today are samples made with the Awash with Flowers two-step stamp set. If you're like me, I LOVE flower stamp sets and can't seem to get enough! 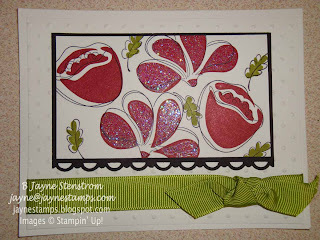 And these are just a few of the samples I have with this stamp set. 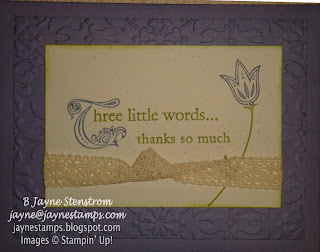 Next is this sweet little stamp set called Three Little Words. 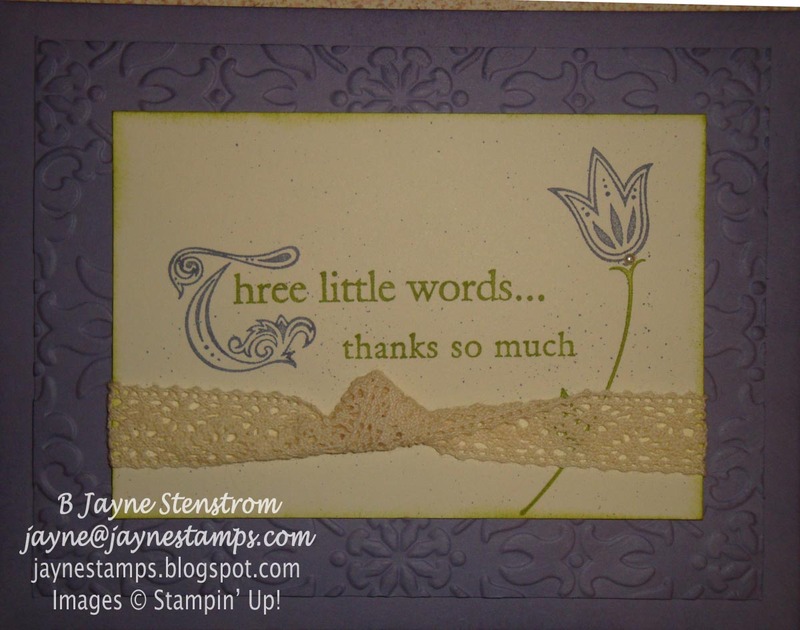 It has six sayings to go with the "Three little words..." stamp, plus the flower image. 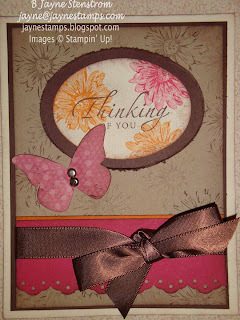 Very versatile! And last today is one of my most favorite flower sets - Greenhouse Garden, another two-step stamp set. 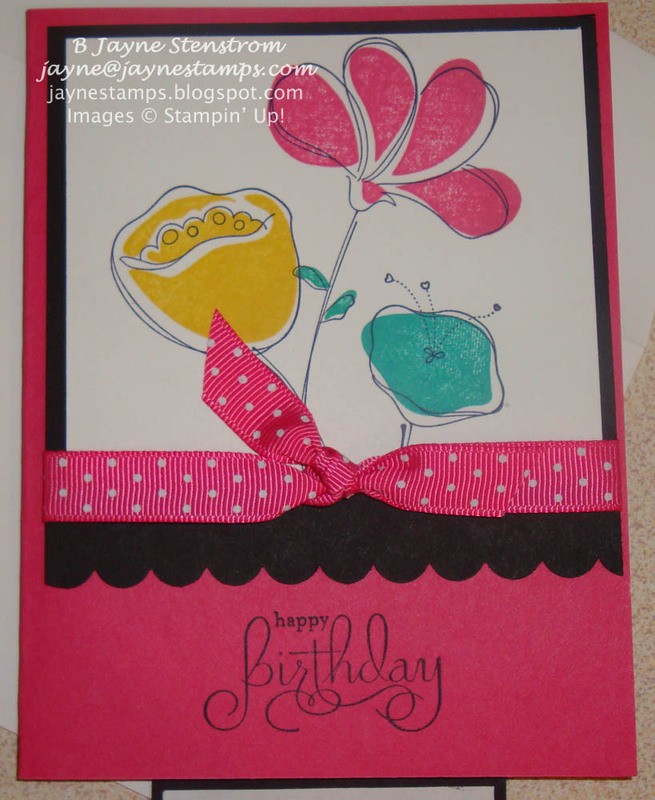 I think it's the detail of the top image that makes each flower look like it's popping off the page at you! 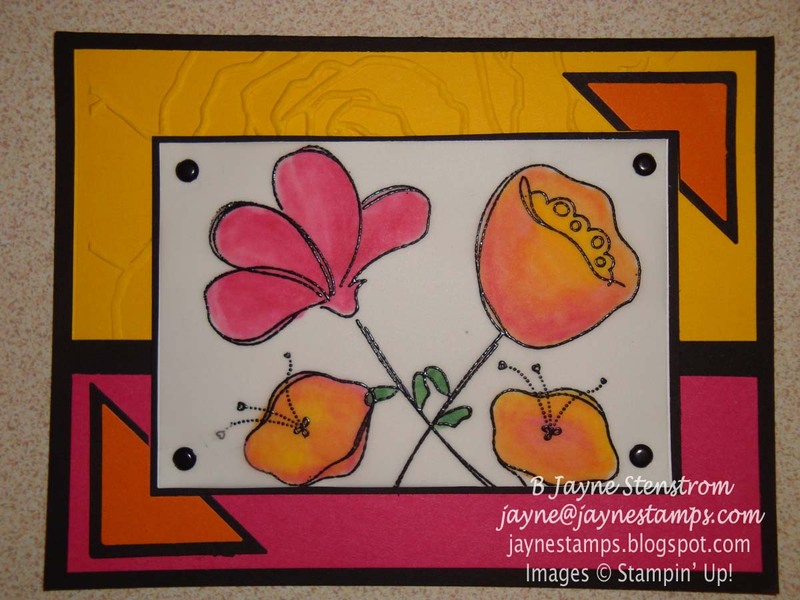 I will miss using these stamp sets in my workshops and classes, but that doesn't mean that I have to stop using them altogether! 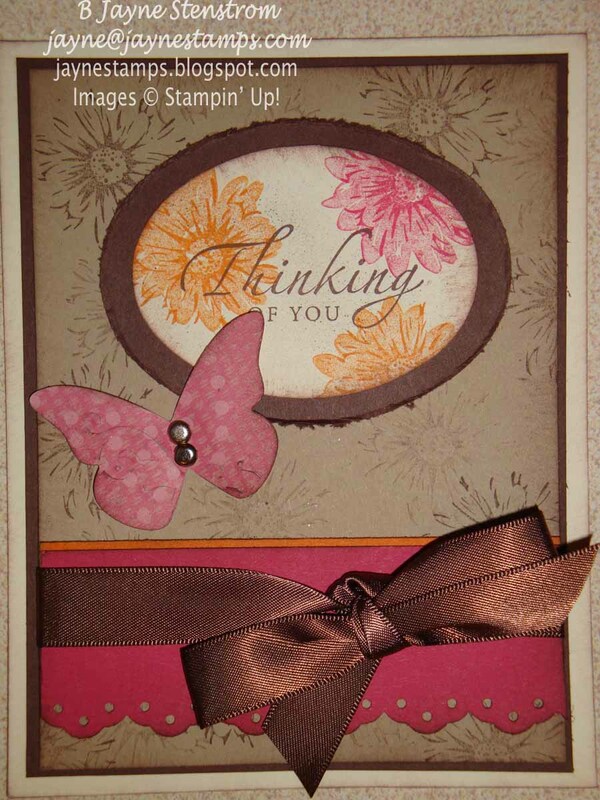 If you've been inspired by these samples and don't want to miss out on these great sets, be sure to get yours ordered by the end of the month!